Thanks for attending today. I'll take the first question. Okay Bob, what's your question? Let me be clear Bob, I'm not not going to comment about Cameragate today. As you know the facts are still under investigation. Right now no one seems to know why it was laying in the middle of US 41 including me. 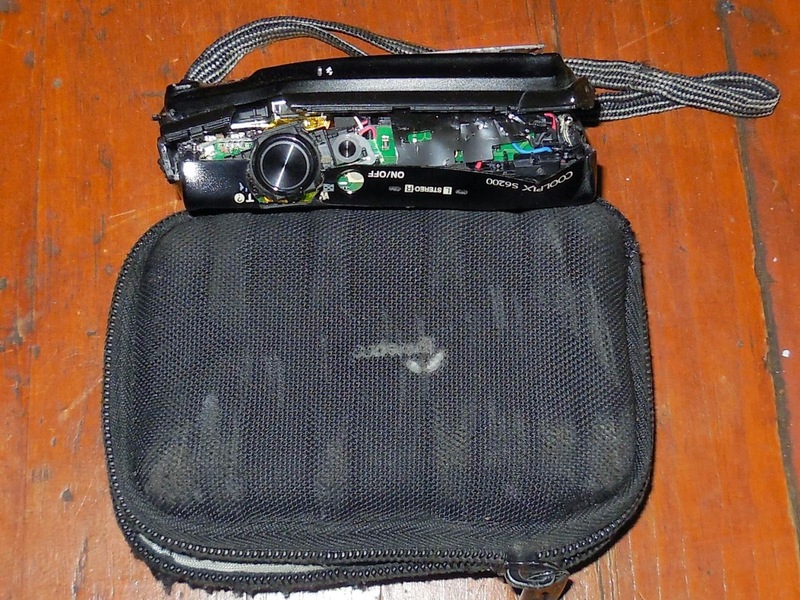 The fact the camera's memory chip was missing is concerning to all of us. I'm sure that our blog's security has not been compromised. And especially no comment about the one armed man spotted near the scene. Alright Sean you're up. Why do I just use big words all of the time? Well Sean, as you should know I don't just use big words. I use a bunch of little ones too. I guess those are the ones you just seem to know. You're a reporter Sean. Here's a little tip for you. The secret word of the day is dictionary. Whose next? I love boat shows. There's nothing like the sweet wafting odor of new fiberglass roasting in the Florida sun out gassing styrene. This was a good boat show, at least from the exhibitors viewpoint. 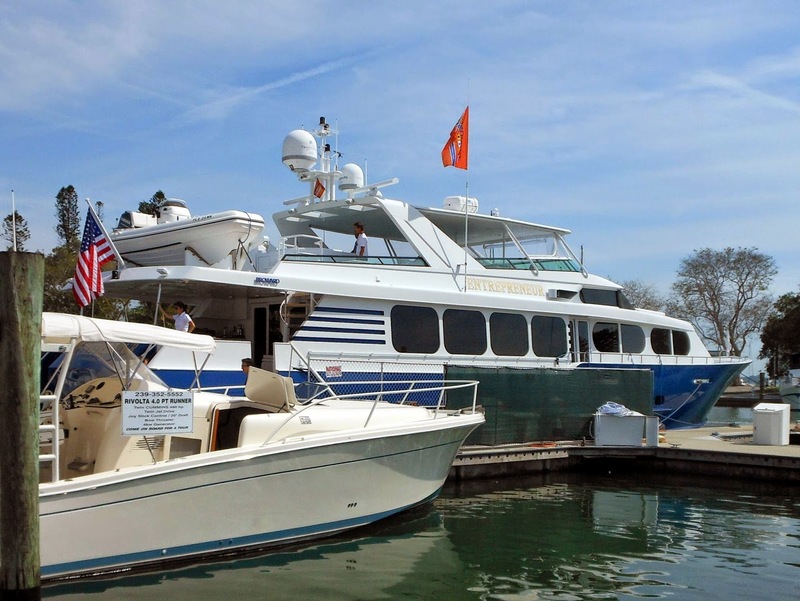 In general, sales were better than last year and many more boats were being displayed. Although it doesn't match the halcyon days when you could get that fourth home mortgage to buy the vessel of your dreams, my sense is that most local dealers are now firmly back on solid fiscal ground. As one dealer told me, "It's good to be back in the boat business again." 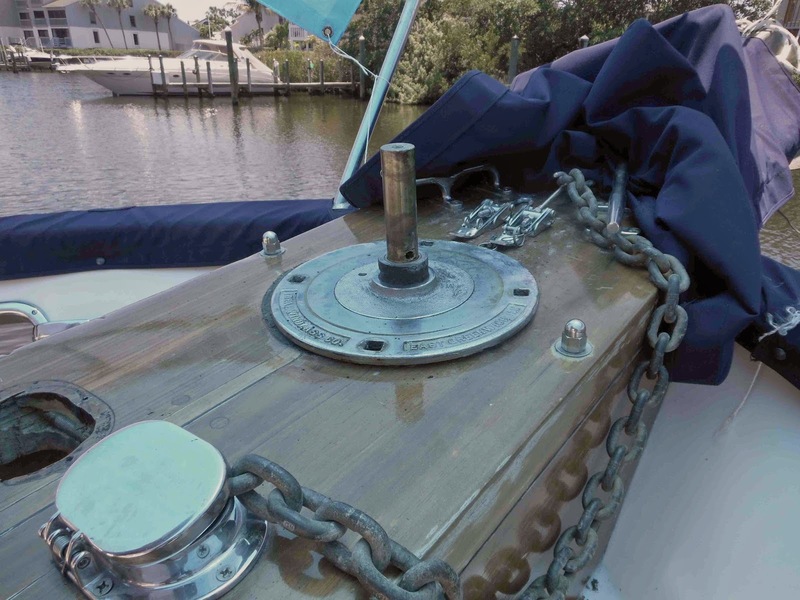 Remove wiring from the winch along with the four corroded bolts from the deck plate. Whiskey Tango Foxtrot, nothing happens! Use a hammer and other nearby objects to encourage separation activities to commence soonest. Again nothing happens. Cogitate on a possible plan B. The deck plate is really stuck. Squirt penetrating oil twice daily on every conceivable interface. On day three beat on the parts mercilessly. The deck plate still won't freaking budge. 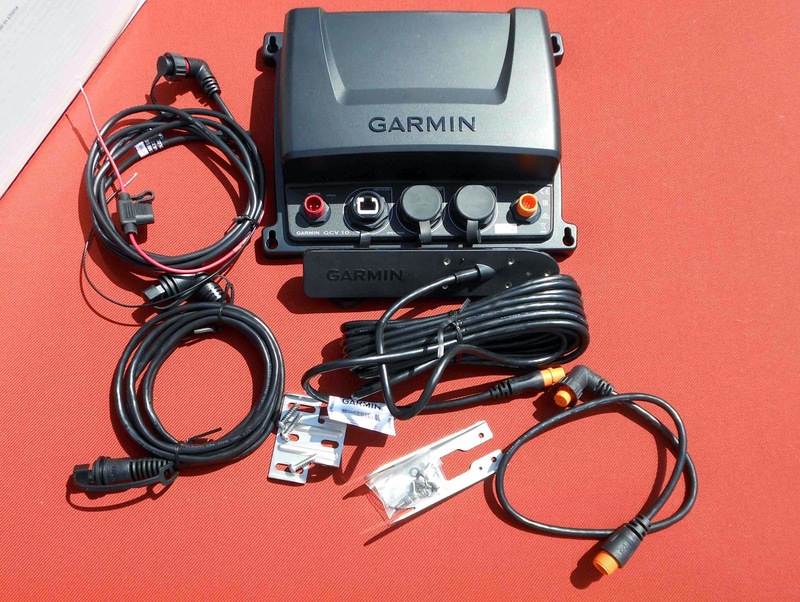 Installing the new Garmin GCV 10 (Garmin Clear View) SideVü and DownVü system is a snap, and well suited for DIY installers. As with most Garmin gear everything you need is in the box down to the wire clips (lamentably never enough of them), fasteners and other minor bits and pieces. Without further adieu find your floppy hat, grab your tools, count your fingers, and head down to the boat. It was an exhilarating experience to see the drawings from his notebooks come to life, and at the same time a bit of a disappointment at its execution and interpretation. 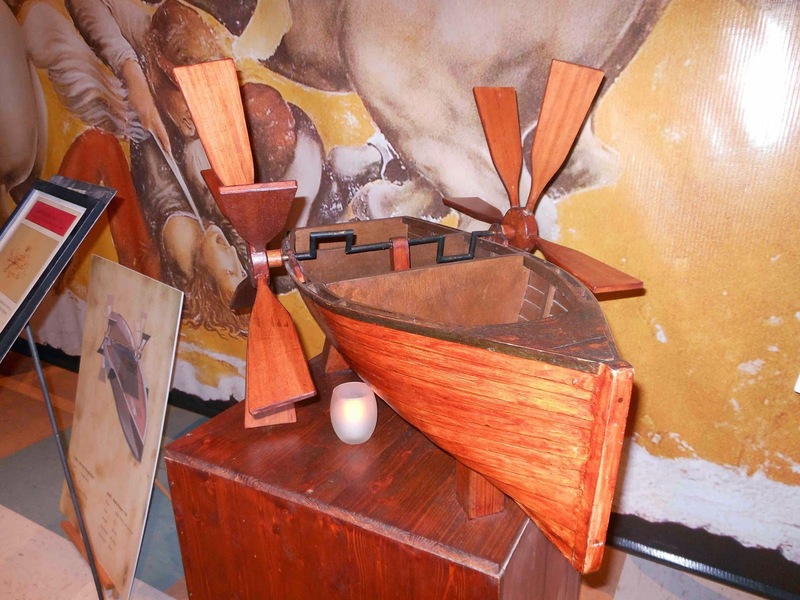 Leonardo da Vinci's machine's exhibitions exist and travel all over the world. I had the recent opportunity to visit one. Featured at almost all these exhibitions is the simple paddle boat with the "invented by da Vinci proclamation." I wouldn't take anything away from Leonardo's impressive capabilities but I think that he did three things with extraordinary skill. He combined existing technologies to conceptually solve problems to make a living, was an astute and curious observer of the world around him and he meticulously documented his findings. This left behind a legacy of about 5000 pages of notes, drawings, and a remaining small handful of paintings. So did he truly invent the paddle boat? I think not, that really happened in the 5th or 6th century. What he did with the paddle boat was to document the technology, understand how it worked, and put effort into figuring ways to power the contrivance more efficiently.